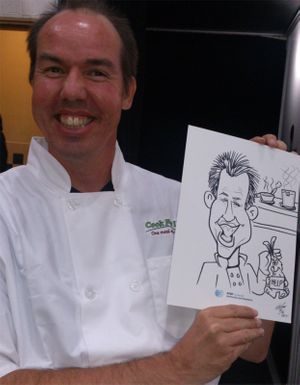 Caricatures are popular for all ages and events. They are done on white 8.5x11 card stock paper using sharpie markers. Color caricatures are also an option. For black and white, approximately 15 caricatures can be completed per hour, or about 10 if the color option is chosen. Company logos or messages can be printed on the paper ahead of time upon request. Click here to view prices and have us at your next event! 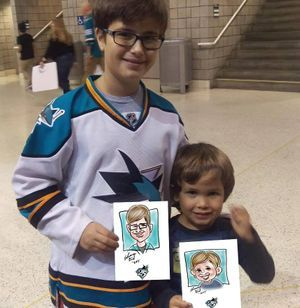 Great for corporate parties and trade shows, digital caricatures are done on a modern stylus tablet and printed out quickly and in high quality on 4x6 photo paper in full color. You will also have access to the original digital files to email to employees or do whatever you wish with. Click here to view prices and book. Be sure to "like" us on Facebook for news, info, and promotions!